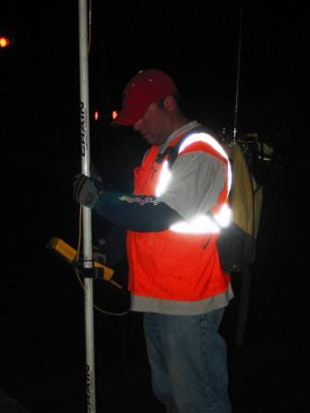 SUE Solution’s team members successfully completed this extensive utility asset evaluation and utility mapping project for UDOT Region One, using a full range of SUE investigation tools. The project consisted of more than 97,000 feet (18 miles) of utility designating (Quality Level B) and 132 potholes (Quality Level A). The project required extensive traffic control and scheduling coordination including night time work to address heavy traffic and safety during early winter conditions. 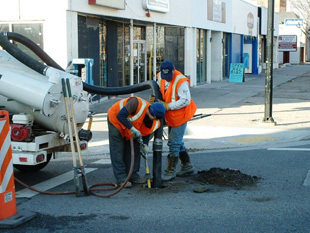 Final reporting included comprehensive maps and photographic documentation that was integrated directly into MicroStation using the customized Micro Utility Viewer ® software. This software allows for fingertip access of all utility data directly within the MicroStation Design Files. It also provides for one-touch access to all utility data including photos, field notes, owner correspondence, owner utility maps, and subsurface data. This innovative software feature received commendation for its ease of use and comprehensive packaging of the entire utility report. This successful project received the following comment from the UDOT Project Manager, "provided a quality SUE document within budget and on time."